Turkey's leading firearm manufacturer Ata Silah signed a contract with the Undersecretariat for Defense Industries (SSM) for the local production of rifles and grenade launchers for the Turkish Armed Forces (TSK). The deal involves Ata Silah's BA 40 Grenade Launcher that has been in the works for 1.5 years and was displayed at the SAHA Expo in 2018. The 40-millimeter caliber grenade launcher has sound and gas cartridges and has been approved for destructive ammunition. The firearms and launchers were designed to eliminate limitations by introducing new features, including fast reloading systems, and improving aim by stabilizing firing systems. Ata Silah aims to start delivering the arms to the TSK by the end of the year. 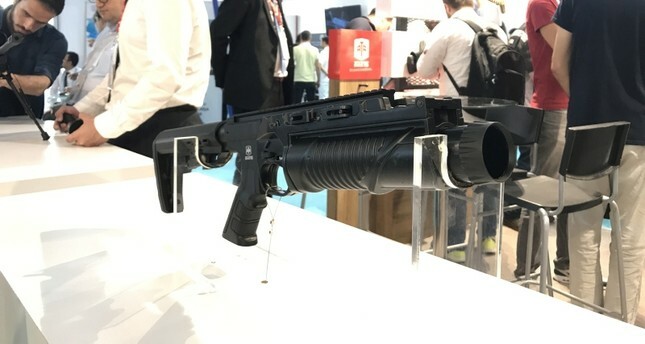 The company has previously manufactured the main parts for domestic infantry rifle, MPT-76, and has introduced new projects to the SSM, including the uniquely designed, locally manufactured 40-millimeter grenade launcher and various firearms. The arms manufacturer supplied the TSK with pump-rifles, the Turkish Naval Forces with semi-automatic rifles, while also exporting firearms to Bahrain, Kazakhstan, Egypt and Georgia. Local manufacturer Ata Silah is among several companies transforming the firearm industry in Turkey by initiating exports to more than 70 countries worldwide, providing security forces with more advanced firearms and grenade launchers.